An All-Out Assault On Lies: Propaganda: And Generally Speaking, B.S. Even for me, the level of anger I felt Monday evening was historic – to the point that, after having awoken at 3:00 am, penned “April 23rd – a potential turning point for the 99%,” and proceeded with the remainder of a very busy day (wait until you hear the Future Money Trends podcast I taped), I scripted the vast majority of Tuesday’s must listen Audioblog #191. The reason being, that Monday afternoon’s Cartel attack was so egregious; following a weekend when not only did Donald Trump take us to the brink of a second war in two weeks – which as I write, remains eminently possible; but a dollop of heinous economic data was released. Particularly, the February and March retail sales reports; which, cumulatively, caused the Fed to reduce its comically overstated 1Q GDP “growth” estimate to 0.5%. In turn, causing the money market “odds” of a June rate hike – you know, the one that was all but “guaranteed” last month – to fall below 50%. And oh yeah, the benchmark 10-year Treasury yield – which I vehemently espoused would NOT go above 2.5% – when “traders” were taking all-time high Treasury short positions – to plunge to a post-election low of 2.25%. Overnight Monday, PMs regained most of their Mnuchin/Cartel catalyzed losses – whilst the dollar index plunged to 99.9 from the 100.3 level it closed at, below the key psychological level of 100.0 it was trading at when Mnuchin “coincidentally” was trotted out to provide cover for the gold Cartel to attack. Meanwhile, the 10-year yield had fallen further, from 2.25% to 2.22%, before Tuesday morning’s horrific Housing Starts and Industrial Production data; which cumulatively, contributed to the biggest U.S. “macro data index” crash in seven years. Which is why what happened next made Monday’s Cartel attack appear trivial. When, mere minutes before the time-honored “key attack time #1” of 10:00 AM EST – i.e., the “London Fix,” when global physical markets close for the day; “someone” dumped $3 billion worth of paper gold on the COMEX, with the sole purpose of driving prices down. Driven by, no doubt, what I discussed at length in the prior day’s Audioblog. I.e., preventing gold from breaching the 5½ year “downtrend line” the Cartel has inadvertently created since dollar-priced gold “peaked” in September 2011. That said, for the first time in my 15 years of tick-for-tick Cartel watching, prices actually rebounded – and did so quickly – enabling gold to close the day higher, and silver just modestly lower. That said, the $5/oz gold gain – which as you can see below, was again capped by the 12:00 PM “cap of last resort” algo – was pitifully modest compared to what it should have done, given that the dollar index ended the day at 99.5; and the 10-year Treasury yield, 2.17%. Stocks’ losses were of course capped by the PPT, but the end of the fraudulent “Trump-flation” propaganda meme couldn’t have been more obvious; particularly in the historically overvalued base metal space, where the post-election bubble was pricked pretty sharply; as copper, nickel, zinc, lead, and iron ore plunged by 2%, 5%, 4%, 6%, and 5.0%, respectively. Oil, too, lost some of its ridiculous post-Syrian-attack gains (itself, based on what appears to have been at best a misunderstanding, and at worst a false-flag chemical attack); on the heels of yet another worse than expected inventory report. And oh yeah, the increasing likelihood that, contrary to the relentless B.S. put forth by an “oil PPT” desperate to facilitate Saudi Aramco’s proposed $100 billion IPO – and thus, maintain the solvency of America’s only remaining Middle East ally – OPEC will likely NOT extend its thus far completely ineffective “production cut” deal, when it meets next in month. Moreover, as one scans the litany of financial market “alarms” going off yesterday – from exploding European sovereign bond spreads; to the Japanese 10-year bond yield again falling below zero; to the exploding Yen/dollar exchange rate that is “supposed to” catalyze plunging stocks (but didn’t, given the PPT’s 24/7 market “support”); it couldn’t be more obvious that the “Trump-flation” meme that was spun, propagandized, and lied about as the “reason” for gold’s post-Election plunge is dead. Heck, even Goldman Sachs itself – which owns Donald Trump – espoused yesterday that material tax cuts may not happen; and that, if any fiscal stimulus package is passed at all, it will be minor, with no impact even possible until late 2018. Which itself is an overstatement, given that – as I espoused in my “turning on Trump” Audioblog two days after the election, not only will Obamacare NEVER be “repealed and replaced,” but neither significant tax cuts nor a material fiscal stimulus package – neither of which, would have any positive impact even if they were enacted – are even remotely politically or economically viable. And geez, I taped that before Trump’s Presidency died a painfully early death – amidst a bipartisan firestorm that has deemed him a pariah just three months after Inauguration Day; to the point that, very likely, he is bombing half the world simply to gain Congressional “support.” Well, that, and to improve his historically low “approval” ratings. And then, of course, there’s this morning’s “doubling down” on the lies – with the Cartel again pushing PMs down (starting at – you guessed it, 2:15 AM); under the guise of yet another blatantly orchestrated Mnuchin interview. This time, with the virulently anti-gold Financial Times – in which he reiterates the lie that Trump’s weak dollar and low interest rate comments are NOT an attempt to jawbone the dollar lower. Which, as described in detail in yesterday’s Audioblog, is patently ridiculous – given that by definition, this is what Trump is doing. Not to mention, the net result, in each instance he has made such comments, of a plunging dollar. I mean geez, this is literally “page one” of the Keynesian Central banking playbook! That said, consider that silver again bounced off its 200-week moving average of $18.14/oz; whilst gold, at $1,284/oz, remains $38/oz above its own 200 WMA of $1,246/oz. And FYI, the dollar index is barely higher this morning than yesterday’s multi-month low close of 99.5, at 99.65. However, as usual, the biggest “lies; propaganda; and generally speaking, B.S.”; emanates from our own sector; and I’m not even going to go into the destructive world of “paper PM investments,” which were delivered yet another major blow this month, when the GDXJ ETF, which holds junior mining shares, experienced massive index underperformance due to its inability to hold major stakes in the companies it is purported to track. Starting with none other than “wrong-way” Harry Dent himself; who, despite being a brilliant economist, has perhaps the most abysmal investment track record imaginable; like predicting, in early 2014, with gold trading at $1,250/oz, that $700/oz was “a certainty” by 2015-16. Not to mention, his October 1999 prediction that the Dow, then trading at 11,000, would reach 35,000 within a decade – only to see it bottom out at 7,000 in early 2009, and end said “decade” at 9,000. And for “bonus credit,” his forecast that the S&P would plunge 30%-50% in 2012, only to see it rise by 13%. Which sounds eerily similar to what he wrote in January 2014, when gold was also trading at around $1,250/oz; i.e. 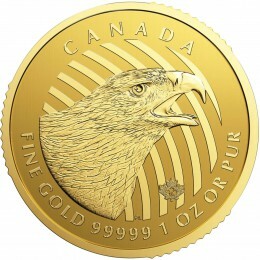 “in Q1 2014 or a bit later, gold is likely to go up, maybe back to $1,400/oz. ; (but) when the crisis sets in, and we see debt deleveraging and banks in trouble, gold will smell deflation, and it will go down again, as it did in late 2008.” Of course, he conveniently ignores the fact that physical gold (and silver) prices barely budged WHEN THE CARTEL ATTACKED THEM in 2008, as the entire global bullion industry ran out of supply; and subsequently, roared back to new highs by early 2009, whilst the stock market continued to plunge. And of course, “but there will be a drop to at least $700/oz in the next few years” – to the “certainty” of “around $700/ounce by 2015 to 2016”; with the added “possibility” of $250/oz by 2020–2023. 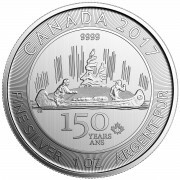 Of course, the fact that he has been dead wrong on gold for so long; let alone, that amidst the largest fiat currency crisis in history; in an industry already suffering from major liquidity issues, and a dramatic long-term downtrend in mine production; the odds of $700/oz are essentially ZERO; let alone, $250/oz. As at those prices, there wouldn’t be any gold mining occurring, as the entire mining industry would be bankrupt. Which brings me to my last “lie, propaganda, and B.S.” calling-out of the day. Which is, the comically inane supposition by an (albeit, very small) handful of “analysts” claiming there is a lot more gold in existence than the roughly 180,000 tonnes estimated by the industry’s leading researchers. Frankly, I can only think of two such “analysts,” both of whom arbitrarily claim that as much as 2,000,000 tonnes exists – which ironically, would still make gold wildly undervalued, given how much fiat currency has been printed, both overtly and covertly. In both cases, they rely solely on conspiracy theories so wild, they at best strain credibility. Like, for instance, that a massive hoard was discovered in the Grand Canyon a century ago, simply because a mining promoter made such a claim; which, after 100 years, not a shred of evidence exists to corroborate. 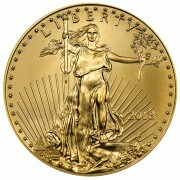 Let alone, the common sense that tells us that when major sources of gold are found, they get mined, and sold. And by the way, one of those two “analysts” is a woman with not a shred of credentials in the mining industry or financial world – who just happens to strongly believe (see here) that aliens rule the Earth. That said, it doesn’t matter what they believe – as in the big picture, it is what you believe that matters. And fortunately, if one uses simple logic, they’ll realize that 2,000,000 tonnes of above ground gold is not just unlikely, but impossible. Not to mention, that if it did in fact exist, it’s not like those owning it would be talking about it. To wit, this must read article from yesterday, titled “conspiracy versus fact – how much gold is in the world?” In which, Steve refutes, with plain “Spockian” logic, every imaginable conspiracy theory regarding the amount of historically mined gold supply. Frankly, no further commentary is required here – as after reading it, it will be crystal clear that if there’s more than 180,000 tonnes above ground (the vast majority of which, is in “strong hands” that may never sell), it’s not much more. Hopefully, today’s “all-out assault” on lies; propaganda; and generally speaking, B.S.”, will help you to more accurately carry out your personal financial due diligence. 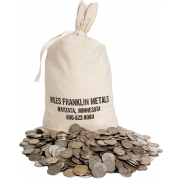 As usual, the Miles Franklin Blog provides it for FREE; with the one request, that if you are considering the purchase, sale, or storage of Precious Metals, you give us the opportunity to earn your business.